The Reverso watch was first created in 1931, this undisputed style icon elicits the same wonderment decade after decade. 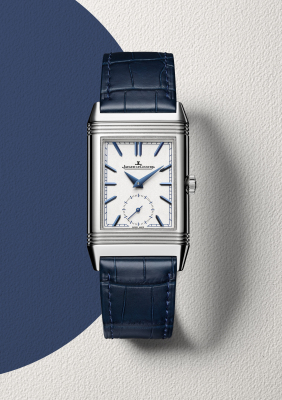 Jaeger-LeCoultre present the new version of the Reverso timepiece to mark its 85th birthday, so that each individual can immediately recognise the collection that matches their own character and the model destined to become theirs. The concept was about ‘’respectfully evolving this legendary watch while bearing in mind the key prerequisites of this model; preserving the nature of this exceptional watch that is a concentrated blend of the wealth of talent within Jaeger- LeCoultre Manufacture, as well as safeguarding its elegance and its contemporary spirit, clarifying the collections by instating three stylistic expressions – Reverso Classic, Reverso Tribute and Reverso One – with their own distinct worlds and aspirations; structuring the classic sizes by offering three small, medium and large options. They introduced the automatic movement on a number of models in the Reverso classic line to ensure genuine user-friendliness’’ Daniel Riedo CEO Jaeger-LeCoultre. The Reverso classical watches focus on the collections Art Decoo inspiration while offering an automatic option. The Collection emphasis the well-known Reverso geometric case and lugs, straight Arabic numerals, minute track and is available in 3 sizes (small medium and large) all will have a black and white front dial that is subtly textured with a guilloché centre. The small models will be set with quartz movements while the medium and large models fitted with automatic Jaeger-LeCoultre Caliber 965. Also within this collection is Reverso Classic Duetto with two back and front dials and a double set of hands driven by a single movement. On the back, the deep black dial features an Art Deco style enhanced by two rows of diamonds that flirt with the night hours. In small and medium sizes only, the small Reverso Classic Duetto is driven by manually-wound Jaeger-LeCoultre Caliber 844 while the medium-sized edition is fitted with automatic Caliber 968A. The inspiration behind Reverso Tribute flow from the very heart of Jaeger-LeCoultre’s watchmaking expertise. All reverse Tribute models feature the duo concept of two independent faces complete with a day/night indicator. This 2016 tribute measures 42.8mm by 25.5mm, the model is fitted with manual-wind calibre 854A/2. The strap is a stylish dark blue alligator leather. The new Reverso Tribute Calendar is the first model in this collection with the addition of a complete calendar. On one side it displays the calendar, while on the other side it displays the Reverso duo function, a guilloché dial with its “clous de Paris” hobnail finish and a symmetrically placed day/night indicator and a Jaeger-LeCoultre Caliber 853. 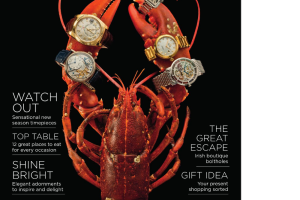 As one of the leading brands of the Swiss watch industry, Jaeger-LeCoultre are admired for their expertise and quality of the highest standards. The Reverso tribute collection emphasizes the undisputed style icon which elicits the same wonderment decade after decade. 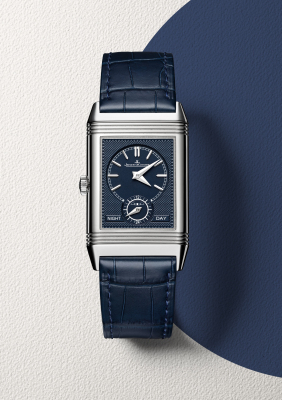 The Jaeger Le-Coulter Reverso tribute collection is available to order at Weir & Sons. For more information email watches@weirandsons.ie or call 01-6779678 to view our full collection of Jaeger-LeCoultre in our Grafton street store.